●Its like a beer bottle. Very new. Very interesting. Full points from me on the look. 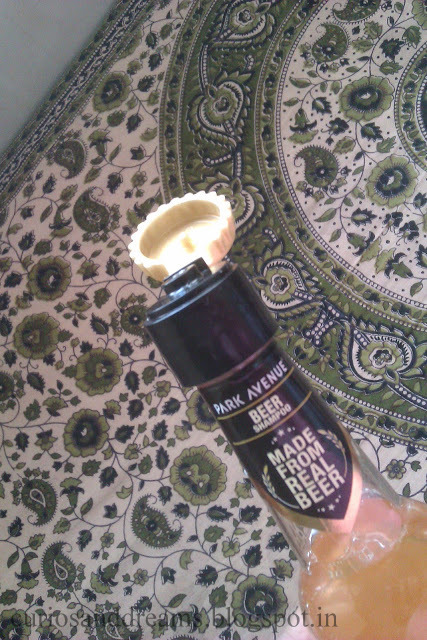 ●The bottle has a flip top which is a bit loose (I don't know if this the case with just my piece or all of them). Its not very travel friendly according to me, I can see it leaking, but you can transfer it to a travel bottle easily. ●Its a gel shampoo. Which I personally prefer over the cream ones. I feel gel shampoos do a much better job of cleaning and have less product buildup.. but this is entirely on personal choice. 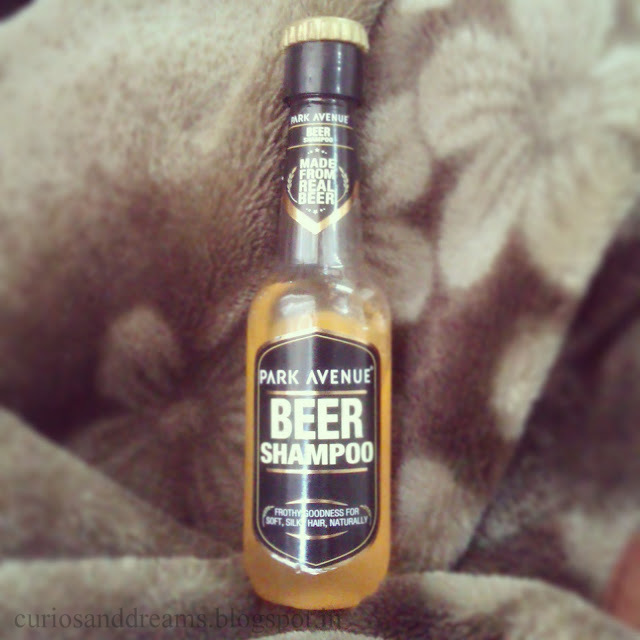 ● The shampoo is not too thick. Slightly on the runny side and coloured a pale golden yellow.. exactly like beer. ● It removes all traces of oil pretty well and trust me when I say that, because last night it was like I had dipped my head into a tub of oil.. I have tried this shampoo with olive oil and coconut oil. Removes them all easily. ● It gave my hair loads of volume! Yaaay! 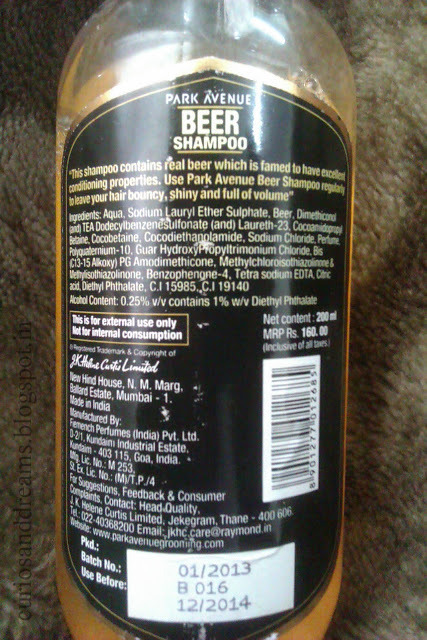 Finally a shampoo which does that! I have straight hair with slight waves at the end.. and I have lost a lot of hair ever since hostel life started.. and since then I have been battling limpish hair. I so badly wanted some volume and bounce. And this shampoo gave me that! ● On the shine aspect though, not so much. I get more shine when I use my regular Sunsilk or Loreal shampoo. But I am ready to compromise a bit here for the volume. Very dry/frizzy haired girls might want to stay away from this one.. although if you do want to use it let me know how it fared for you. It will vary from person to person. Yes, I think. I can keep alternating this with my regular shampoo. Have you all tried it? How was the experience? Do share.